Find and compare the best prices from a range of well known car rental companies at Reykjavik Airport. This is a free to use facility, enabeling you to book direct with the company quoting the price. 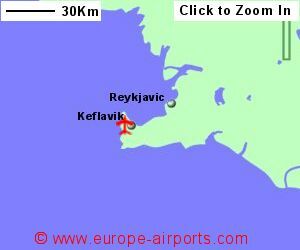 This is the International airport serving Reykjavik (Reykjavik airport which is almost in the city is only used for domestic flights). A transfer from an International to a domestic flight may involve a transfer between the two airports, a 50Km journey. There is a bus connection between Keflavik airport and Reykjavik, taking about 45 minutes, and taxis are available. Facilities include 5 cafes/restaurants, 10 shops, banking and currency exchange, and FREE WiFi Internet access. 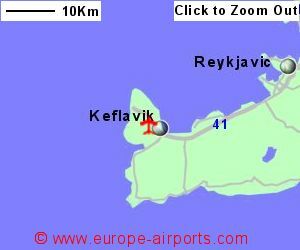 Reykjavik Keflavik airport has Airport Carbon Accreditation, at the Mapping level. Passengers totalled 8.7 million in 2017, an increase of 28% compared to the previous year. Interestingly, this figure is more than 20 times the population of Iceland.